A material handling system is a set of equipment that is used to physically move material around the factory floor or in storage and freight handling areas. Traditional material handling systems included trolleys, conveyors, forklifts and overhead traveling cranes. They were primarily mechanized devices and a large amount of manual intervention was required. These traditional systems had limitations such as low speed and handling problems including scratching, chipping, breaking and difficulty in monitoring material flow. However, these material handling systems were adequate for mass production of a limited variety products or low volume production. At present, market forces demand that manufacturing systems be lean, agile and highly automated. Modern manufacturing systems need to handle a variety of components for increasing product customization, reduced lot sizes and variable product mixes. This has led to the requirement for automated equipment and systems that move faster, accommodate greater throughput, and require less maintenance than the earlier material handling systems. To cope with these requirements, a new breed of material handling systems has been recently developed. These include automated storage and retrieval systems, carousels, rail guided and automated guided vehicles, intelligent flexible modular conveyors, pick and place units, vertical lifts and high density storage systems. Gripper or holding devices are also available for fragile, delicate and super finished components. Usually material handling takes place along all the links of the supply chain, including production, distribution, storage and retail functions. Minimizing the complexity and number of handling operations can increase productivity. Most material movements need to be automated and simple. A detailed analysis needs to be carried out to track the flow of material, before installing the material handling equipment. It is important to note that there is an increasing demand for real-time information at all stages of the distribution and supply chains. Material handling systems need to be connected to sensing devices that provide essential information for handling, such as the location or status of the material. This requirement is basic and is usually met with, but the importance of connecting handling equipment to a broader network and the plant management system has not yet been fully recognized by some companies. Material Handling [http://www.i-MaterialHandling.com] provides detailed information on Material Handling, Material Handling Equipment, Material Handling Systems, Heavy Machinery Material Handling and more. Material Handling is affiliated with Walk Through Metal Detectors [http://www.i-metaldetectors.com]. Conveyor systems are a type of material handling equipment that is used to transfer products from one location to another. The types of materials could be raw materials, food, chemicals in fact any material that needs to be moved to the next process of production, inspection, packing or dispatching. There are many different types of conveyors such as overhead conveyors, belt conveyors, bucket elevators, food conveyors, pivoting bucket elevators, pendulum bucket elevators and vibratory conveyers to name a few. These are powered by an electric motor, air pressure or vacuum. The overhead conveyor can be used for many items such as assembly, distribution and food. The certainly don’t come cheap but the amount of manpower they reduce well makes up for the cost. You are also gaining some much appreciated floor space and reducing and preventing accidents. This type of conveyor is used extensively in the tyre, white goods and car exhaust industries. A bucket elevator which can also be called a grain leg is a mechanism for moving flowable bulk materials vertically. This can be bulk materials which are either light weight or heavy, from fine to larger lumps. Basically this type of conveyor consists of the buckets which are used to contain the material, a belt to carry the buckets and transmit the pull, the power that drives the belt and any accessories for loading the buckets or picking up the material Bucket elevators can be designed to ensure that all handling of the product is undertaken using methods that are inherently gentle and cause minimum distress to the products being moved. Belt Conveyors are used for moving multiples of bulk or unit load products to different points within the processing system. These are low cost, product specific conveyor systems which use standard conveying components in order to move within a process or to an end of line packing facility. They can be controlled by a simple push button operation at each stopping position or coupled to intelligent controls to allow a set period at each position before moving on. This form of conveyor includes Troughed, Dished Boom, Flat Bed or Plastic Modular. Another type of conveyor is a roller conveyor which is also cost affective and very versatile. These have evolved and now you can get advanced powered roller conveyors which are designed for heavy duty applications such as pallet handling, automotive applications or storage where heavy product is loaded onto the conveyor via a machine or fork lift. Most are manufactured out of mild steel but have heavy duty rollers which are powered by a shaft mounted geared motor. You can get conveyors designed and tailored to your exact needs. What conveyor suits one type of process might not be suitable for another. So getting the right type of conveyor for your processing needs is a must. For more information on Bucket Elevators and Conveyor Systems please visit Gough & Co (Engineering) Ltd.
With the growing economy the Material Handling industry is also expecting a boom. As an industry, Material Handling involves various stages like planning, organizing, application, etc. It revolves around the acts of loading, unloading and moving goods within a factory using mechanical devices that are called Material Handling Equipments. Material handling equipment means equipment, including its supporting structures, auxiliary equipment and rigging devices, used to transport, lift, move or position persons, materials, goods or things. It also includes mobile equipment used to lift, hoist or position persons, but does not include an elevating device that is permanently installed in a building. As per a recent research report conducted in the industry, there are almost 4000 distribution outlets for the Material Handling Equipment in the US. Together they score a combined annual sales figure of $15 billion. Material Handling Equipments include lift trucks and inventory handling systems like conveyors, sorters, storage racks, shelving systems and carousels. Lift trucks account for half of these total sales figures. Basically it can be categorized under five main heads, which are, transport equipment, positioning equipment, unit load formation equipment, storage equipment and identification and control equipment. Transport equipment is the equipment that is used to move material from one location to another, for example, conveyors, cranes and industrial trucks. Positioning equipment consists of the equipment that is used to handle material in a single location for the purpose of machining, transport or storage. Unit Load Formation Equipment is the equipment used to restrict materials so that they maintain their integrity when handled. If material is self-restraining (e.g. a single part or interlocking parts), then they can be formed into a unit load with no equipment. Storage Equipment is used for holding or buffing materials over a period of time, for example, S/R machines of an AS/RS, storage carousels etc. Identification and Control Equipment consists of those equipments, which are used to collect and communicate the information to be used for coordinating the flow or materials within a facility and between the facility and the suppliers and customers. In the field of Material handling, ease of maintenance and uptime, both are essential. Together they have an impact on productivity and profits. Maintenance is a poor constituent of “true cost”. It can therefore, often tend to become a hole in the budget. Hence, when choosing equipment due consideration should be given to the cost of maintenance. Certain mishaps can throw the production off gear. Companies must look for a system that requires minimal maintenance. Equipments that are made of durable plastic call for low maintenance. They are non-corrosive and lightweight. At the same time such equipment are impact-resistant, hence require little need for maintenance. Apart from this other unknown mishaps that may put off production, and factors like warranty coverage must also be given due consideration. Identify and go in for equipment that can get repaired quickly and does not require specialized labor. Plastic material handling equipment is easier to maintain and cleaner than metal ones. Water and detergents can easily clean plastic, without causing rust. Most conventional conveyors need lubrication apart from belt tensioning as against some modular systems that are maintenance free. Mansi Aggarwal recommends that you visit material handling equipment [http://www.materialhandlingblog.com/equipment/index.html] for more information. If you start out with the right materials handling equipment, it will work for you. On the other hand, if you choose inappropriate equipment, it can work against you and the efficiency and productivity of your business. How do you choose the most efficient equipment for your workplace? Materials handling equipment virtually defines the industrial revolution. Imagine where we would be without the conveyors that are at the heart of the production line. The standardization of containers for shipping goods revolutionized the world economy. In the factory and warehouse, the forklift and pallet have increased productivity tenfold or more. In spite of the obvious value and efficiency of this kind of machinery, it is surprising how many businesses still fail to utilize it to its full potential. Usually, the reasons why businesses don’t use materials handling equipment to its full potential is because they don’t properly assess their needs. “We need a new forklift,” the foreman says and the factory or warehouse owner agrees. But which forklift do you need? Do you need one with the reach of your current forklift or would it be worth it to upgrade to a triple mast forklift for greater reaching capacity. Sometimes, a single decision like this can make a huge difference to your current and future productivity, efficiency and profits or losses. An example of this is a small manufacturing company with only a half dozen employees. The most expensive piece of materials handling equipment in the shop is a single mast pallet jack that is put to use every day. The owner decides to trade it in for a forklift. This is a big expense for the small company, so he decides to stick with a single mast vehicle. Soon after purchasing his new forklift, he finds that he needs a new large piece of machinery – a lathe. The trouble is, he doesn’t have enough floor space for it. What is he going to do? Does he have to look for new premises? What will that cost? He looks up and realizes that while he has limited floor space, he has plenty of height to work with. If he had purchased a double mast forklift, he could dismantle two rows of pallet racks and stack them on top of his other racks. That alone would give him more than enough floor space for the new machinery he needs. He kicks himself for not thinking of that sooner, but bites the bullet and upgrades his forklift. This is just one example of how carefully analyzing your materials handling equipment needs can drastically effect your business. It can work in the other direction, too. Sometimes, businesses have more equipment than they need. In order to get the materials handling equipment that is right for you, consult an expert from an established industrial supply company. Such a company will have seen everything in its many years of operation. Their representatives can be of invaluable assistance to you. Looking for the best in materials handling equipment, but you’re tired of dealing with multiple companies? 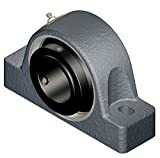 Now you can find all of the best material handling products for your company at Bahrns.com. Materials handling is a vague concept to the average person. Those outside of the warehouse or industrial supplies businesses consider it to be the simple process of “moving stuff around.” Those whose job it is to ensure that materials and goods handling goes smoothly and efficiently have a great deal to say about it, though, because the handling of materials is at the heart of their business. Warehouse supply companies define materials handling very broadly. They see it as much more than just the transport or manipulation of materials. Like an organism or machine, a warehouse is a dynamic system, all of whose parts are interconnected. Therefore, they consider anything that is connected with the safe and time-efficient handling and storage of any materials to be an integral part of the whole warehouse. A pallet rack is essentially a stationary object, but to the warehouse manager and staff, it is as indispensable as the forklift, a more obvious example of a piece of materials handling equipment. With the invention of the forklift, the transport and movement of goods and materials was changed forever. This changed the way the world handled materials and it is no exaggeration to say that the forklift revolutionized the warehouse industry, but without pallet racks, it could not operate as efficiently as it does. Industrial designers and engineers are well aware of the relationship between the goods stored on pallet racks and the function the pallet racks must perform. That is why they have designed different types of pallet racks for different purposes. Pallets of perishable goods, for instance, must be moved on a “first in, first out” basis, so Pallet Flow racks have been engineered to let gravity move pallets in order of placement for efficient rotation of stock. The typical Selective pallet rack, on the other hand, allows the forklift operator to pick and choose between different pallets. Forklifts and pallet racks can be seen as most essential when materials are being delivered to the warehouse and removed from the warehouse. There are many other material handling operations that require specialized supplies in the warehouse as well. The tape dispenser, while small and seemingly trivial, is, in its way, as much a part of the process of handling materials as is the forklift. In order to pack goods into boxes efficiently, a good tape dispenser is a necessity. It must operate smoothly and quickly and at the same time ensure the safety of the handler, minimizing or eliminating the risk of even slight injury. Safety and efficiency are two things that are essential components of every piece of materials handling equipment, no matter how large or small. When it comes to the large, heavy and potentially dangerous equipment, the problems of design and construction are more complex. Many warehouses cannot operate efficiently without having at least one vertical personnel lift, for instance. Since the lift is carrying warehouse personnel to dangerous heights, it must be designed with the operator’s safety in mind, without sacrificing his ability to do his job. Safety and Efficiency – these are what materials handling means to those in the warehouse supplies industry. That is why everything, from a good pair of driver’s gloves to a vertical personnel lift, must be included in their definition of materials handling equipment and goods. Want to find out more about materials handling, then visit Bahrns Equipment’s site on how to choose the best materials handling equipment for your needs.